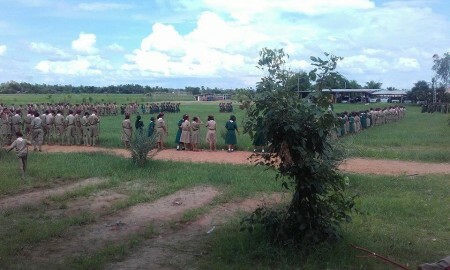 Every Thursday the students wear their scout or cadet uniforms to school. It’s incredible and everyone looks really smart. 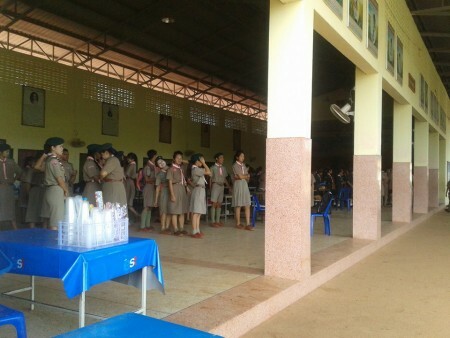 Apparently in Thailand scouts is mandatory so you don’t get a non-uniform day if you aren’t a part of a group. That just does not happen. 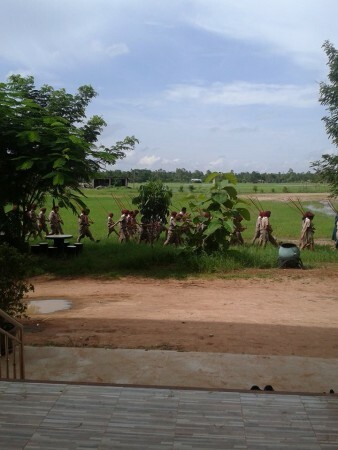 The cadets do a drill whilst the morning assembly takes place. They march about and change formation whilst the flag is raised, the national anthem is sung and while they pray to the Buddha. 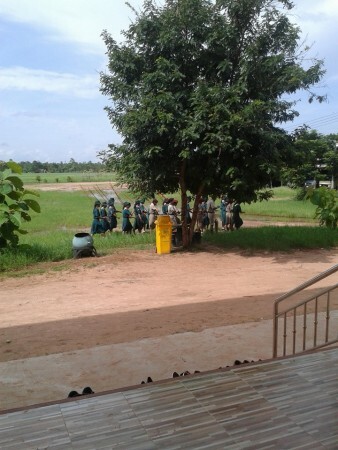 The cadets have to wear heavy uniform and boots during drills despite the heat – I don’t know how they do it, I struggle enough in a skirt in the classroom. Because they have the drills in the morning, the first lesson I have on a Thursday, with my G.10, is often a bit chaotic. The drills often over run and after two weeks I have realised that there’s no point starting the lesson unless it’s an easy game to play with the students. In my G.12 class later that morning I got them to do a detailed task, the first task that has required more than a few sentences. I got them, in groups of two or three to write an advert either selling or buying a house. I decided this by naming half of the room buyers and the other half sellers. They had to write a small paragraph that included the size, location, cost and style of the house, and whether the house included furniture or not. I left them to this for about 20 minutes. Then I sectioned the board into two columns, and separated the columns into boxes. I then asked the students to write their group advert in a box. This worked well as they always like writing on the board. I did have to encourage one pair to go up to the board, and I suspect that they didn’t do any of the prep for the task. But he did write some information in the box at the end. After looking at the adverts I was really proud as it was a great end to the topic ‘Dream Home’. None of the others had classes that afternoon as primary students were away elsewhere. I just sat and planned for my lessons next Thursday as tomorrow we are going to the rice fields, so we don’t have to teach any lessons. After that we just played with Bop-bet and watched the students march around the field by our office doing drills after school.